After several attempts to build a multiband C-Pole I finally ended up with the Multiband H-Pole. 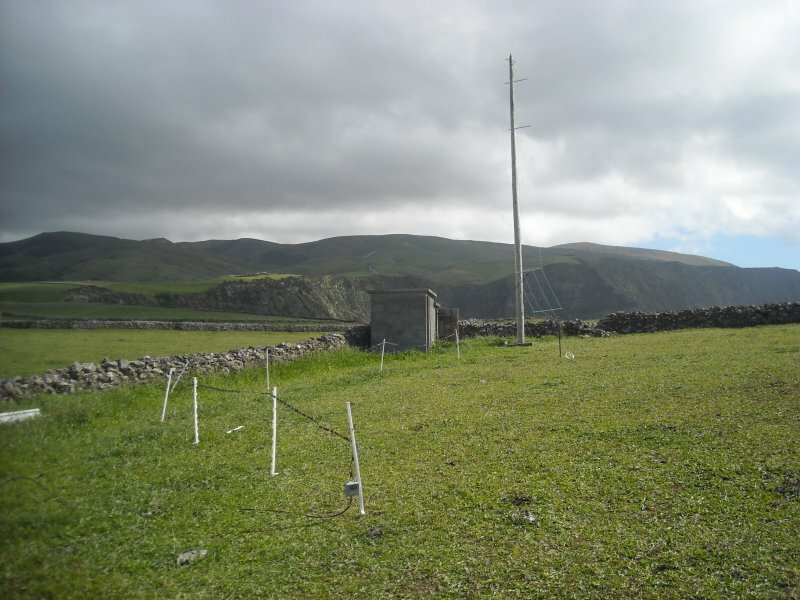 C-Poles for different frequencies on one pole must be fed with separate feedlines over separate current baluns. In a first attempt I fed the H-pole in the center with a ladder line. It was electrically no longer an "off-center-fed-dipole" as the C-Pole was, but a vertical, folded "doublet". 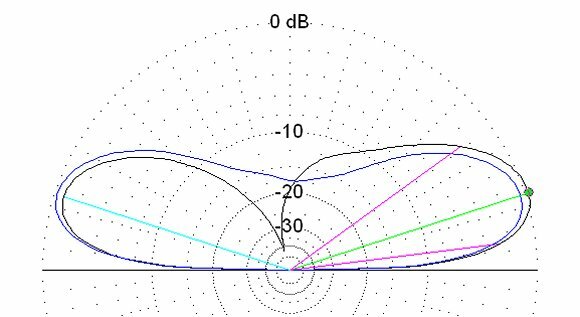 The C-Pole is a resonant antenna, whereas the H-Pole is non resonant and must be matched with a tuner. 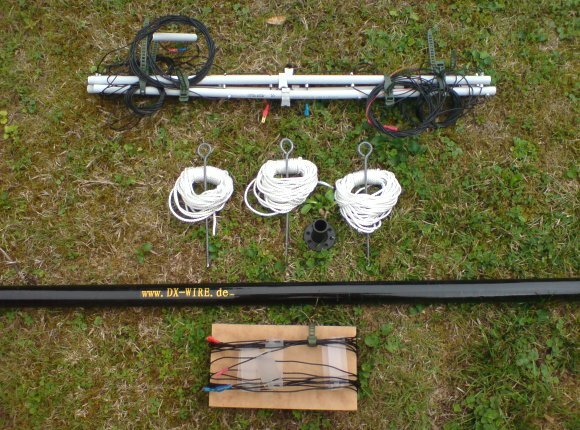 Construction and materials used for the H-Pole are similar to the C-Pole. 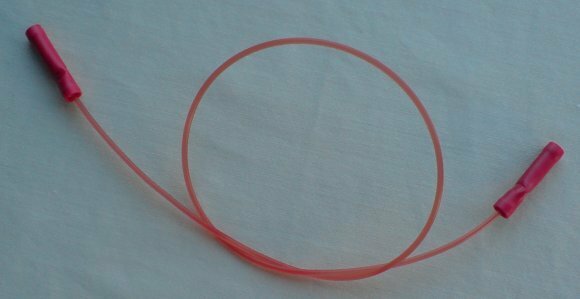 I use non conductive glass fibre fishing rods, beware of conductive carbon fibre! The first results are very promising. 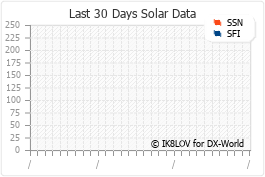 I had contacts with excellent signal reports within a few minutes on all bands except 80m at @ 12:00 UTC in July 2008. I used the SG-239 Automatic Tuner (asymmetric !). So far, the sound of the automatic tuner, was "healthy", only a few "clicks" and down was the SWR! I connected the lower half of the H-Pole to the ground connector, the upper half to the "hot" side of the tuner output. Only after Peter (HB9CET) asked: "Why don't you feed at the bottom?" 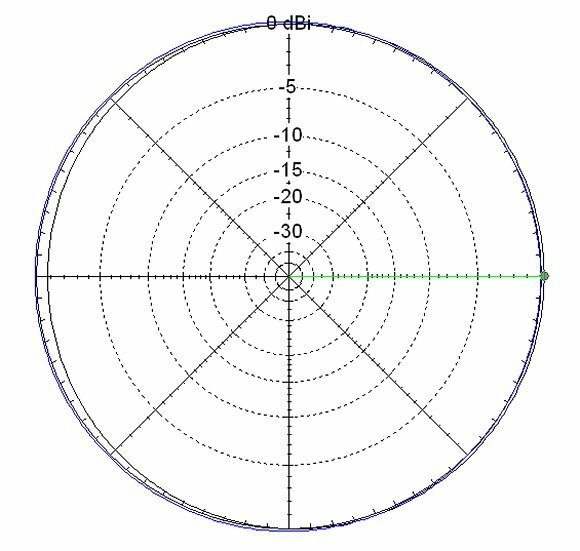 I checked for the best feedpoint around the lower part of the antenna and found an optimum, both electrically and mechanically: the lower horizontal wire (#6 in the EZNEC-File). So far the EZNEC simulation. Field tests will follow. The anttenna has a slight directivity, the F/B ratio is 0.97dB. but again an off-center-fed-dipole, as the monoband-C-Pole was, with no noticable difference in performance. 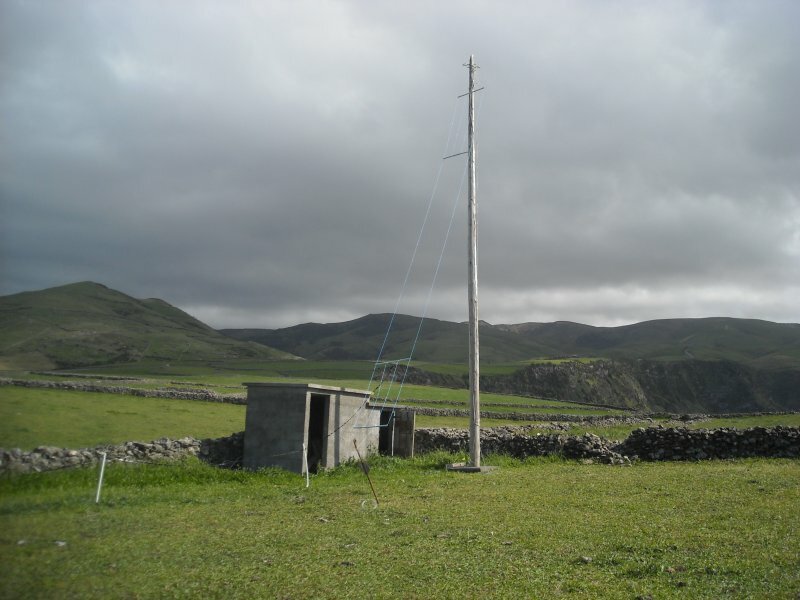 The Multiband H-Pole Vertical Wire Antenna article was forwarded to me by my good friend Hermann Stein, HB9CRV, who is also my QSL Manager. 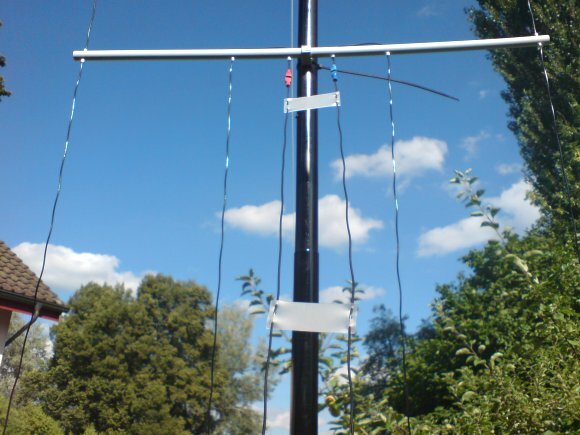 That was the used antenna, exclusively, at the Helvetia Contest 2012 a couple of days ago and I am very pleased with its versatility, all 9 bands, (160m to 10m). 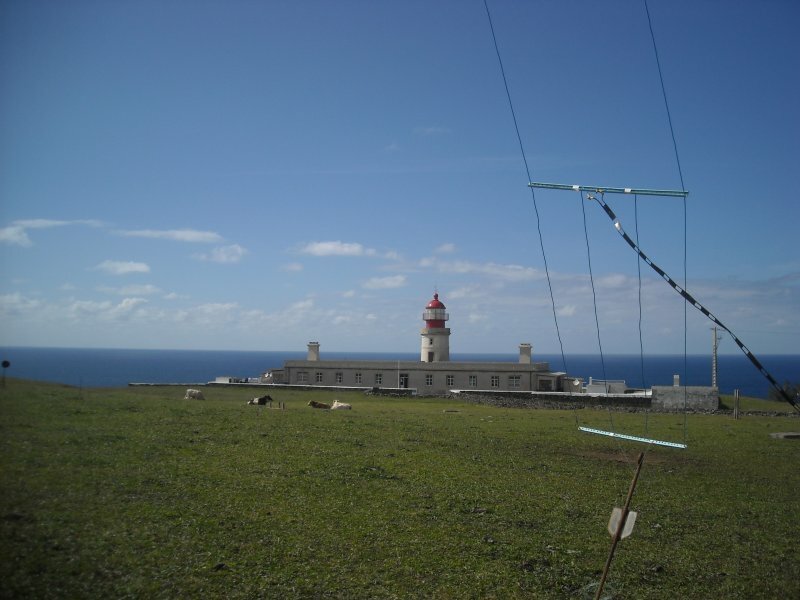 On 160m I had a contact with HB9CA, super station! 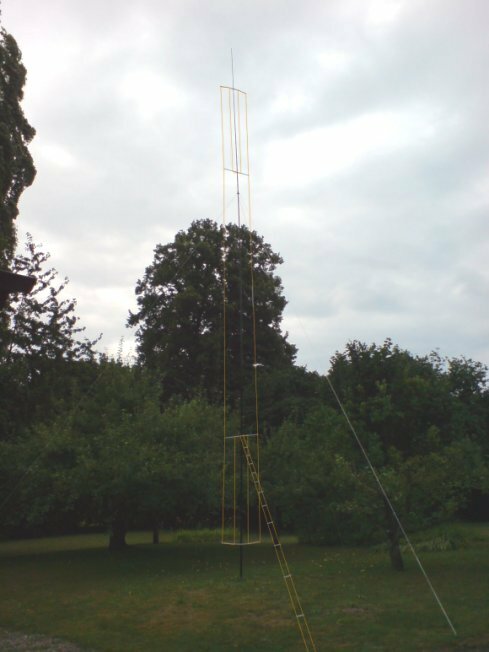 As for the lack of proper 12m tall pole, it was slight sloped towards true orth. With exception of the 10M Band, the Log shows contacts in all Contest Bands. Power used, sometimes, was 1.2 K from an OM2500 Amplifier. 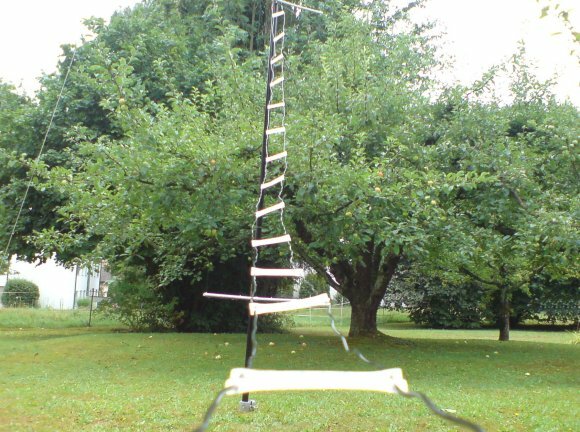 For the 250cm feeding, I used the 24.5m long 450 Ohm ladder line and a 4:1 HP Balun that I took from a factory Original Cobra antenna that was previously at that 10m tall pole. RG-213 was used from the balun to the shack. The H-Pole needed very light tuner assistance (Ten-Tec 238C). Thank you for the outstanding design. Many thanks, Antonio, for your report and the pics!